Hi sweethearts! Today I have a new fun little game! Many people comment on my style posts about how I have sooo many clothes. Well, it's true~ I am a bit of a fashion addict :p BUT! You can really multiply the amount of clothing options you have with just a little bit of creative styling. Today I wanted to show you how you can take one item of clothing and completely change the garment depending on how you style it! I decided to challenge myself to come up with two completely different looks based on the same sweatshirt with the same color scheme. If you follow my style posts or blog, you probably know that I flip flop back and forth between kawaii queen and punk monster like... everyday. It all depends on my mood when I'm getting ready, hehe :p The idea for the Daily Style Challenge came to me when I was feeling particularly indecisive. To kawaii or to punk?? Let's take a closer look at each outfit! 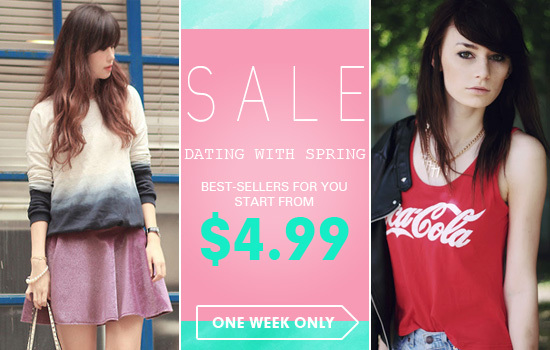 Each outfit features the Romwe Husky Print Sweatshirt! So there you have it! Now that you've seen both styles close up, I would love to hear which outfit you like better!! Please let me know your preference in the comments or on my Facebook page! 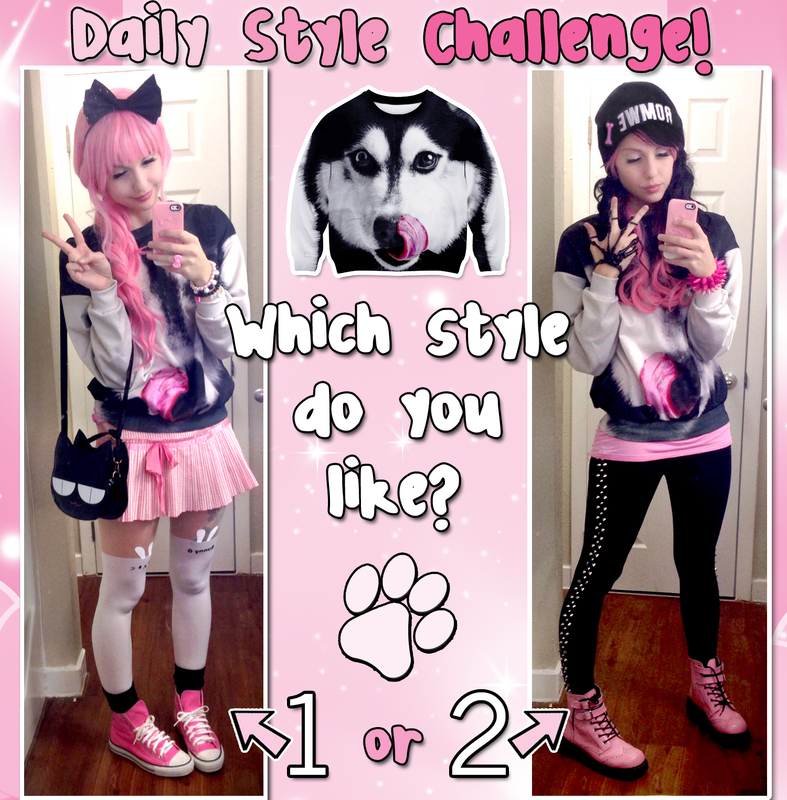 Did you enjoy my first Daily Style Challenge?? Love the 2nd outfit more :D Very cute!